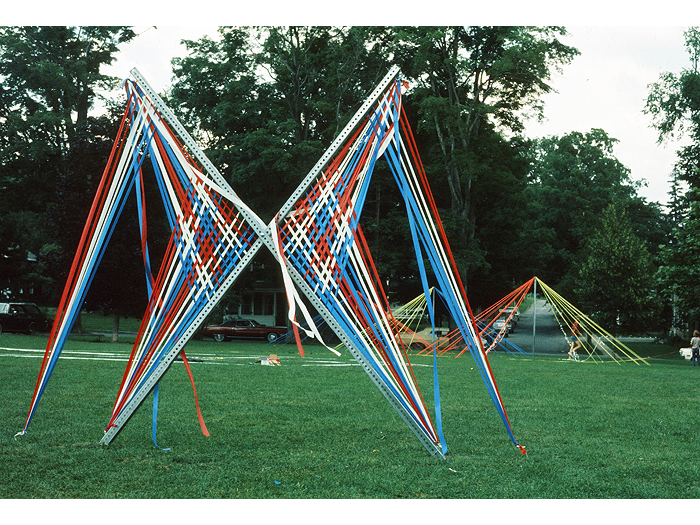 During the 1970's, while living in NYC, Colin received both CAPS (Creative Artists Public Service program) and National Endowment grants that included a community service component. 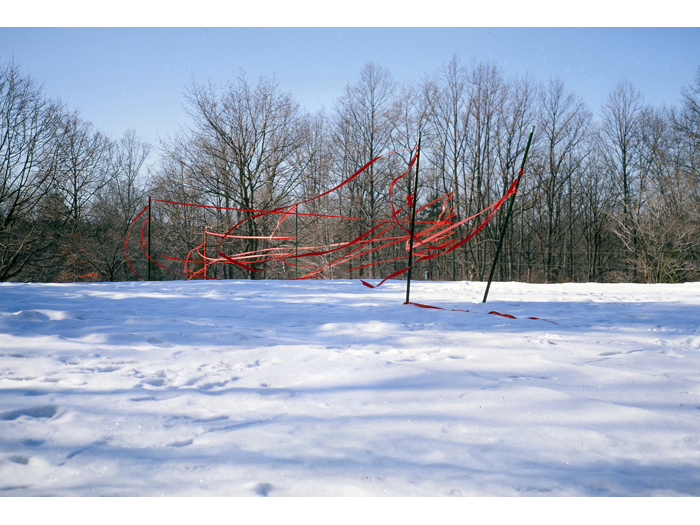 He became an Artist in Residence at the Everson Museum, Cazenovia College, Central Michigan University, and Colgate University. 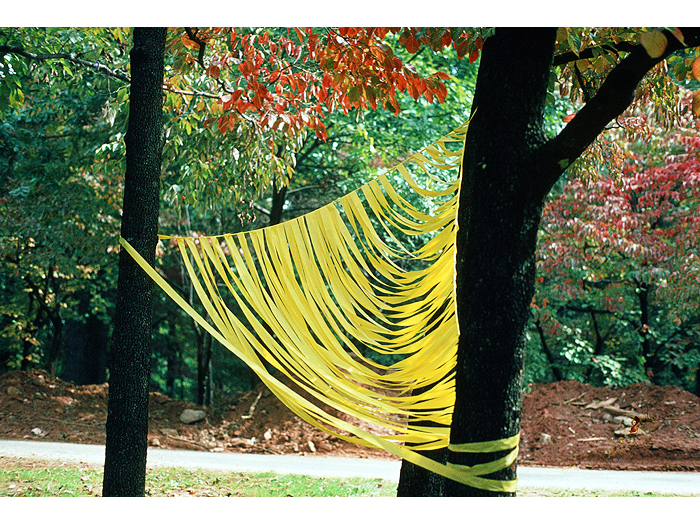 All events and projects were intended to bring art to the community through interaction and participation. 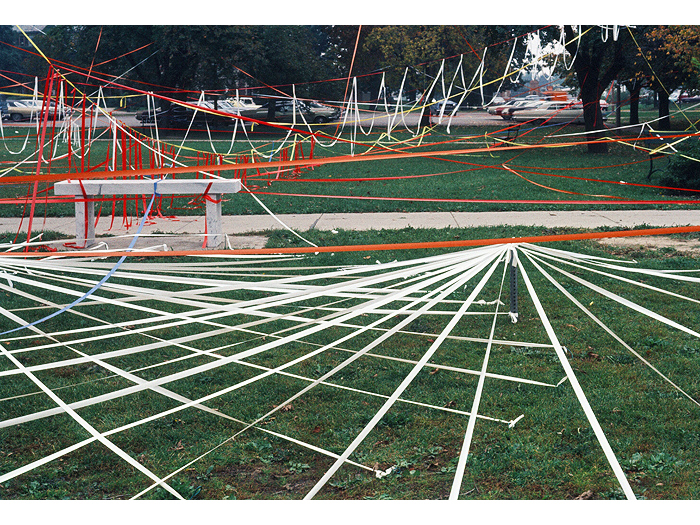 Colin's	"Colorline" events invloved any number of people creating large-scale sculptural forms with surveyors tape which he found to have a wonderful quality of movement as it catches the wind. 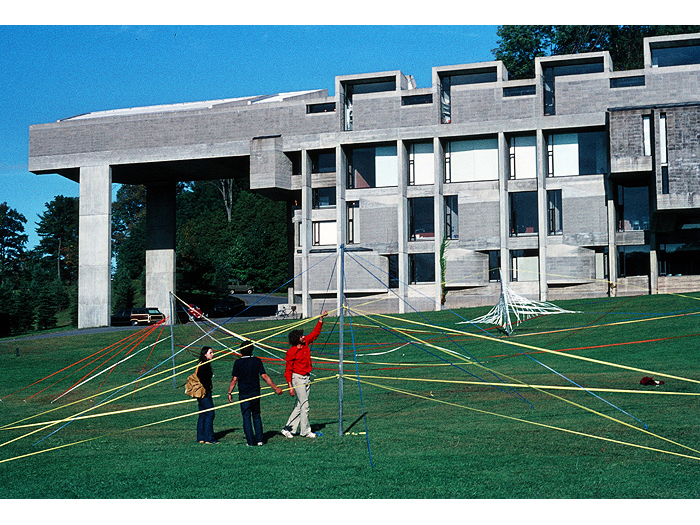 The only direction he gave students was to create "wind-influenced pieces, fluid pieces, closed pieces, open pieces, ground pieces, underground pieces, or whatever the material suggests." 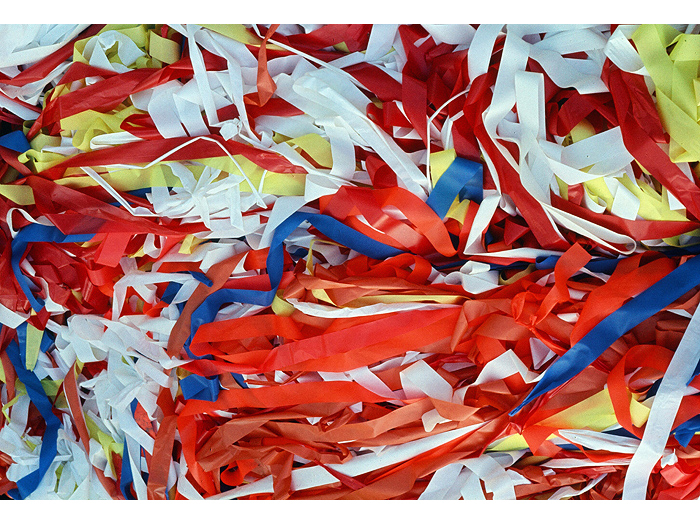 Meant to be temporary, the events lasted a couple of days, after which, the tape was removed from the environment. 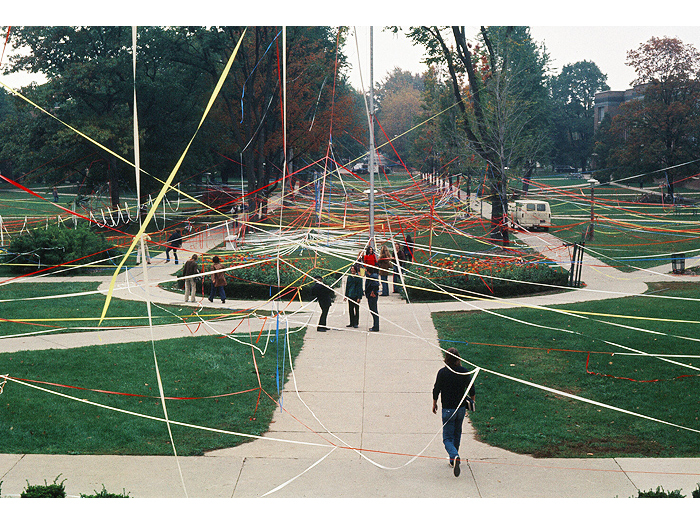 Some of the events included 7 miles of color in cooperation with the Syracuse University School of Architecture, 12,000 feet of color in a public park in Washington DC during an event sponsored by the Corcoran School of Art, 15,000 feet of color at Cazenovia College, and a campus event at Central Michagan University. 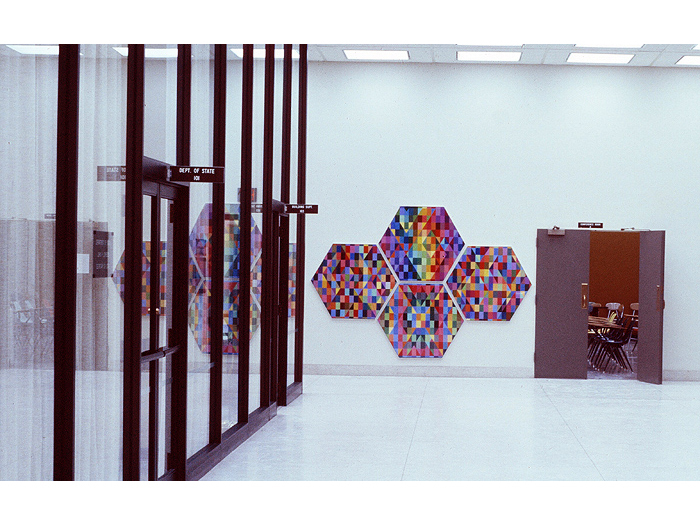 Inspired by crystal growth in rocks and minerals, Colin invented a way for students to enliven public building by creating "Participatory Murals". 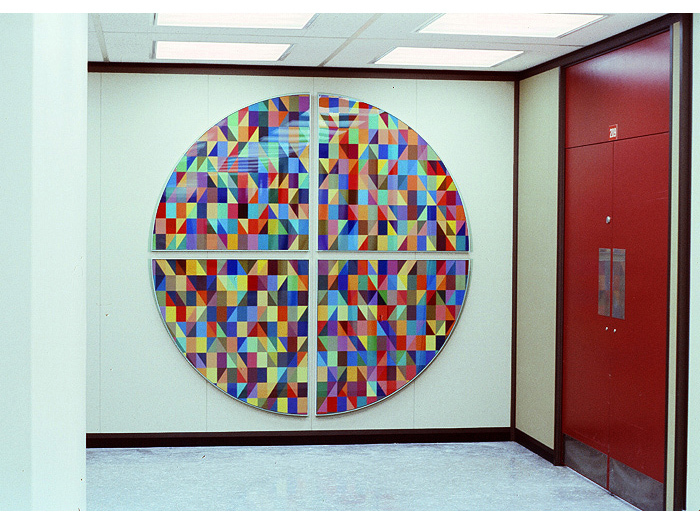 Students arranged silk-screened, paper shapes in 200 different colors, into lively permanent installations of color. 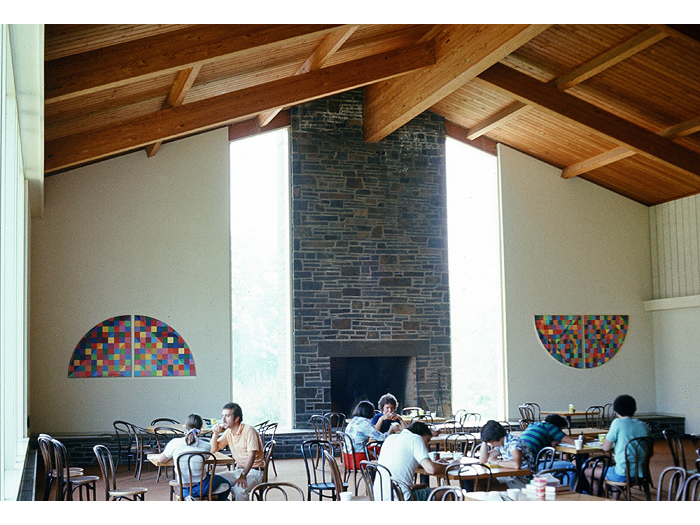 Shown here, 25 colorful murals were executed by Colgate University students under Colin's direction. 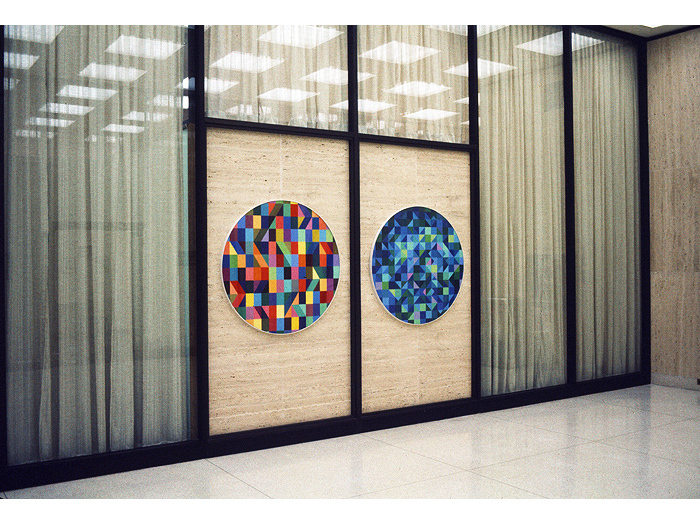 12 were installed around the campus and another 12 were placed in the New York State Office Building in Utica, NY. 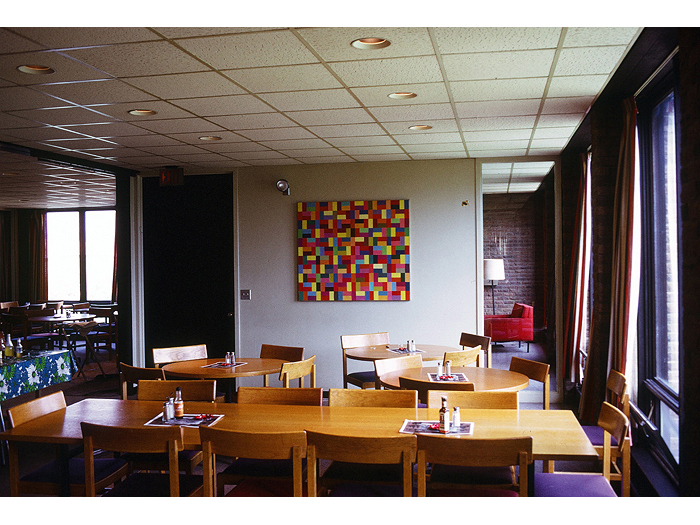 8 color panels were also executed and designed by students at the Everson Museum and placed in the Onondaga County Executive Office Building in NY State. As part of his funding from CAPS, Colin assisted the members of the Melrose Mott Haven Senior Center in Bronx, NY and the Rockaway Park Senior Center in Rockaway, NY in creating murals to enliven their meeting spaces. "Art can add a great deal of pleasure to life," Colin said at the time, "particularly when it is brought out of the museums and into our daily environment where it becomes a natural part of everyone's experience."